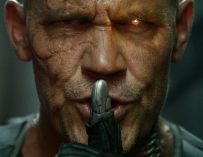 Ryan Reynolds, who might as well be known as Deadpool from now on, is trying to get the Merc With A Mouth in Dwayne Johnson’s Fast & Furious spinoff movie with Jason Statham. 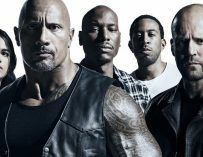 We recently learned that Deadpool 2’s David Leitch would direct the Hobbs and Shaw Fast & Furious movie. This guy’s been doing very well for himself since working on John Wick. Leitch was already known in the industry for being a brilliant second unit director alongside his regular collaborator, Chad Stahelski. Leitch did some work on massive Hollywood blockbusters such as Captain America: Civil War and Jurassic World. He was also famous for being an excellent stunt coordinator, which is what makes him the perfect fit for an action movie director. Since John Wick, he went on to direct Atomic Blonde, which despite its flaws, has some kickass action in it. Incidentally, Atomic Blonde 2 is already in the works. 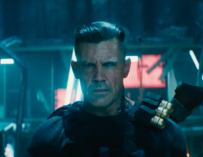 Leitch’s next film just so happens to be Deadpool 2, which of course stars Ryan Reynolds, who upon hearing the news that the director had been hired to helm the Fast & Furious spinoff movie immediately took to Twitter demanding that Deadpool play some part in the film. You promised Deadpool was in this. You said I get to play the no-nonsense Police Chief, who yells at Hobbs for crashing his 58 valve Nissan Sentra into an Olive Garden. Put me in coach. Wouldn’t that be great? Dwayne ‘The Rock’ Johnsons’ Hobbs, Jason Statham’s Shaw and Ryan Reynolds’ Deadpool teaming up in one awesome movie. That film would be a total sellout. Maybe they should do this? Maybe they should bring Deadpool into the Fast & Furious cinematic universe. It’s already basically become a superhero movie franchise anyway with cars being parachuted out of planes, driven off of buildings and The Rock’s incredible muscles always on show. 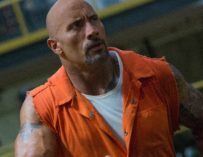 The Hobbs and Shaw spinoff film, which is yet to be titled, is set to be released on July 26th, 2019. Would you want to see Reynolds appear in the movie? Let us know in the comments below.